What better way to enjoy a cool, refreshing white wine or spritzer than in one of these handcrafted ceramic white wine chalices. 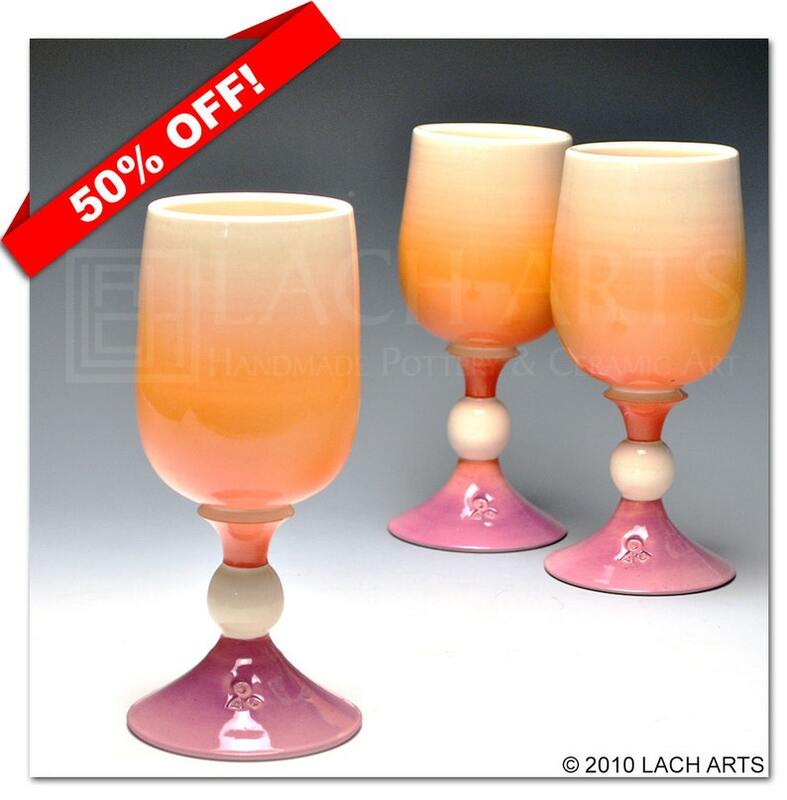 Each White Wine Chalice is handcrafted on the potters wheel by ceramic artist, Jennifer Lachtara, in four parts, then assembled and decorated with gradiated food-safe underglazes(violet to red to orange), and finished with a durable food-safe clear glaze, so each one is unique. The design allows you to easily hold the chalice by the stem, so the heat of your hand will not heat your beverage too fast and the clay acts as an insulator keeping your drink at its most refreshing.